Draft: 2006, Texas Rangers, 25th rd. Drafted by the Texas Rangers in the 25th round in 2006 out of Wallace State Community College in Hanceville, AL. Never distinguished himself in high school. Was a part-time outfielder that had a good arm and could run fast. Kent State and Ohio State were both interested in him but opted to sign with Wallace State...Derek's off-the-field passion is the 60 feet 6 foundation, which he started to help fight leukemia and make an impact on kids in need. "I had no idea how it would change me. These kids taught me how to live". He hosts events to raise money throughout the year. For more information go to 60feet6.org...An Ohio native, Holland is a big hockey fan. His favorite team is the Columbus Blue Jackets, but he's also a Dallas Stars fan...Nickname is the 'Dutch Oven. It's a nickname inspired by a Texas Rangers fan's sign he spotted in the stands back in 2009, his first year up in the Majors, that read "Dutch Oven bringing the heat." Made 36 appearances (30 starts) for the Giants, posting a 7-9 record with a 3.57 ERA (68er, 171.1ip)...Led the team in starts (30), innings pitched (171.1ip), and strikeouts (169)...his 36 appearances set a new career-high (previous: 33 games in 2009 and 2013 with TEX) and his 171.1ip and 169 strikeouts both marked the most he's recorded in a single season since 2013...His performance in 2018 made him one of the most improved pitchers in baseball...his -2.63 ERA improvement between the 2017 to 2018 season marked the second largest improvement in the Majors (Stats, LLC)...Lefties hit .168 (24-for-143) off him, which ranked as the third-lowest in the National League and sixth lowest in the Majors...left-handers slugged just .189 off him, which was the lowest in the Majors...Finished the season with 169 strikeouts, the fourthmost by a player in his first season with the Giants since 1900 behind Vida Blue (1978: 171), Johnny Cueto (2016: 198), and Sam Jones (1959: 209) (Stats, LLC)...Went 5-7 with a 4.36 ERA (43er, 88.2ip) in 17 starts before being moved from the starting rotation to the bullpen following his start on July 1...with Johnny Cueto and Jeff Samardzija both being reinstated from the injured list, the Giants had to move one of their starters....Was moved back into the starting rotation on July 25 and made 12 more starts, posting a 2-1 record with a 2.97 ERA (22er, 66.2ip) and a .228 opponents avg. Made 26 starts (29 appearances) and threw 135.0 innings for the White Sox, which were his most in a season since 2013 ... His 14 losses, 6.41 ERA, 1.71 WHIP and 75 walks were career-highs and his 31 homers allowed were his sceond most (32 in 2012) ... Worked a season-high 8.0 innings and allowed just one run on six hits with four GIDPs on May 21 at Seattle ... Made his first career start against Texas on July 1 at Guaranteed Rate Field, suffering the loss after allowing five runs in 5.1 innings ... Was released by the White Sox on Sept. 5. Missed over four months after suffering an injury before his first start of the year, and went 4-3 with a 4.91 ERA (32 ER/58.2 IP) in 10 games/starts…started Game 4 of the Division Series vs. Toronto at Globe Life Park. Missed the first 5 months of the season while rehabbing from offseason knee surgery, but returned and was selected Rangers September Player of the Month...it was the 2nd time Holland won the club's monthly award (also July 2011). Ranked among the A.L. leaders in shutouts (T3rd, 2), innings (8th, 213.0), quality starts (T9th, 22), strikeouts (10th, 189), strikeouts per 9.0 IP (10th, 8.0), and ERA (14th, 3.42) ... established career bests in ERA, innings, starts, and strikeouts…led staff in starts, innings, quality starts, and complete games, tied for 2nd in wins (10), and placed 2nd in strikeouts…opponents grounded into team-high 21 double plays, T7th-most in the A.L…had career-best 2.95 strikeout-to walk ratio…had A.L. 's 9th-most hits allowed (210) and tied for 8th in wild pitches (career high 9)…had 3 starts of 7.0-or-more innings while allowing 2-hits-or-less, tied for most in the A.L. and most by a Ranger since Nolan Ryan had 4 such starts in 1991… had most innings by a Texas pitcher with 10-or-fewer wins since Danny Darwin in 1984 (8-12, 223.2 IP)…averaged career-low and team-best 0.85 home runs allowed per 9 innings, 15th-best figure in the A.L., after entering 2013 with career 1.27 HR/9 ratio. Despite missing a month with left shoulder fatigue, ranked 2nd on the staff in strikeouts (145) and was 3rd in wins (12), starts (27), innings (175.1), and quality starts (16)...finished strong for a 2nd consecutive year, improving his record over the last 2 Septembers to 7-0...DISABLED LIST: Was hampered at start of June with a stomach virus and exited start early on June 5 at OAK...was placed on the 15-day disabled list on June 7 (retroactive to June 6) with left shoulder fatigue...lost twice with a 6.00 ERA (6 ER/9.0 IP) in 2 rehab starts at Round Rock (AAA) before being activated on July 17...BY THE NUMBERS: Opponents batted .243, his career low and 19 points less than 2011 (.262)...RHB and LHB were both at .243...was 6-4, 5.55 in 16 games/15 starts in Arlington and was 6-3, 3.65 in 13 road games/12 starts...held batters on the road to a .228 batting average, 3rd-lowest among A.L. qualifiers to teammate Yu Darvish (.209) and the Orioles' Miguel Gonzalez (.214)...went 6-2, 3.99 in 10 starts against A.L. East clubs...SUMMARY: Began the season with a 2-0 record and 3.10 ERA in his 1st 3 starts...allowed 12 runs in 13.0 innings in dropping his next 2 starts, then was 1-0, 0.69 (1 ER/13.0 IP) in his next 2 outings...was given an 8-day break except for 1.0 relief inning, May 11-18, then went 2-2, 8.38 (18 ER/19.1 IP) in his following 4 starts...activated from DL on July 17, producing 2-2 record and 5.31 ERA (24 ER/40.2 IP) in his 1st 6 starts off the DL with a 5.18 ERA through August 5.Beginning August 11, was 5-0, 3.88 (28 ER/65.0 IP) in his final 10 starts...worked at least 7.0 innings while allowing 2 or fewer runs in 4 consecutive starts, Sept. 2-19...only 4 other lefthanders in Rangers history have had as many as 4 straight starts of 7.0+ IP and 2 or fewer runs: 5--Jon Matlack, August 6-25, 1978; 5-Rick Honeycutt, April 6-29, 1983; 5--Kenny Rogers, May 21-June 11, 1995; 4--Rick Honeycutt, June 7-22, 1983...was the longest overall such streak by a Ranger since Roger Pavlik, 5, Sept. 2-23, 1995. Holland made his first career Opening Day roster withTexas as the club's no. 4 starter and went 16-5 with a 3.95 ERA(87 ER/198.0 IP) in 32 starts, establishing career highs in wins,starts, innings, and strikeouts (162)...his 16 wins were the mostin Washington/Texas franchise history by any player under the ageof 25...was particularly effective during the final 3 months of theregular season, winning 5 straight and 10 of his last 11 decisionsto end the year...finished 2011 with the 5th-best winning percentage in the majors at .762...set a single-season club record by aleft-hander with 4 complete game shutouts, trailing only Cliff Lee(6) for the major league lead in 2011. Was 3-4, 4.44 (23 ER/46.2 IP) in 10 starts and posted a2.53 ERA (3 ER/10.2 IP) in 4 relief appearances over 3 differentstints with Texas, May 12-30, Aug. 18-19, and Aug. 28-end of season ... was 7th on the staff in starts (10) ... compiled a 2.32 ERA (8ER/31.0 IP) in 7 games/4 starts in Arlington and a 6.15 mark (18ER/26.1 IP) in 7 games/6 starts on the road ... held lefthanded battersto a .130 (6-46) average with RHB at .277 (49-177) ... opponentsbatting average at Rangers Ballpark in Arlington was .214 (25-117) ... opponents hit .194 (13-67) with runners in scoring position. Was purchased from Oklahoma City (AAA) on April 18 and spent rest of season with the Rangers...was 6-12, 6.23 (81ER/117.0 IP) in 21 starts and 2-1, 5.48 (13 ER/21.1 IP) in 12 relief outings... ranked third on the staff in starts, innings (138.1), andstrikeouts (107), and tied for fourth in wins... was second in A.L. in balks (3) and tied for second in losses (13)...placed among A.L.rookies in strikeouts (6th), innings (7th), starts (10th), and wins (T11th)...set rookie club record for home runs allowed (26)...his 6.12ERA was fourth highest among all ML pitchers with at least 125.0 innings...was 10th rookie in team history to start at least 20games...lost at Nashville on April 13 in only start for Oklahoma City. Split the year between Clinton (A), Bakersfield (A) and Frisco (AA), combining to go 13-1, 2.27 (38 ER/150.2 IP) with 157 strikeoutsto just 40 walks over 26 games/starts...after the season, was named to Baseball America Minor League All-Star First-Team, inaddition to being named to the Low Class-A All-Star squad...opponents batted just .213 (168-787), with lefties hitting .189 (25-132)and right-handers hitting .215 (86-400)...over final 12 starts beginning June 28 while with Clinton, opponents hit just .174 (45-259)with 13 walks and 91 strikeouts, as he averaged 7 strikeouts for every walk issued in that span...allowed just 3 home runs all year,all solo shots, including just one long ball in his final 15 starts and 91.2 innings...logged 6.0-or-more innings 17 times, as every one of those outings qualified as a quality start...had 12 quality starts in his final 13 outings of the season...held opponents to 2 ER-orlessin 21 of 26 starts...issued 2 walks-or-less in 21 of 26 starts...went 7-0, 1.64 (16 ER/88.0 IP) over 15 home starts and 6-1, 3.16(22 ER/62.2 IP) over 11 starts on the road...participated in a pitching camp at Rangers Ballpark in January 2009 and was honoredat club's awards banquet on Jan. 23. Spent first professional season withSpokane (A)... finished second in the Northwest League in strikeouts (83) and fifth in ERA (3.22)...ranked among team leaders instrikeouts (1st), innings (2nd), starts (T2nd) and wins (3rd)...averaged 11.15 K/9.0 IP and held the opposition to a .224average...allowed 2 ER-or-less in 10-of-14 starts...was 2-1, 2.61 (9 ER/31.0 IP) with 8 walks and 41 strikeouts in August...participatedin fall instructional league program following the season. January 14, 2019 San Francisco Giants signed free agent LHP Derek Holland. 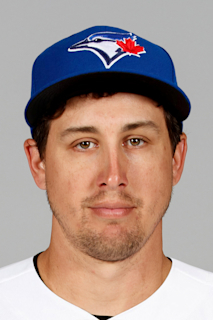 October 29, 2018 LHP Derek Holland elected free agency. March 26, 2018 San Francisco Giants selected the contract of LHP Derek Holland from Richmond Flying Squirrels. March 23, 2018 LHP Derek Holland assigned to Richmond Flying Squirrels from Sacramento River Cats. February 13, 2018 San Francisco Giants signed free agent LHP Derek Holland to a minor league contract and invited him to spring training. February 13, 2018 LHP Derek Holland assigned to Sacramento River Cats. September 5, 2017 Chicago White Sox released LHP Derek Holland. September 5, 2017 LHP Derek Holland roster status changed by Chicago White Sox. December 14, 2016 Chicago White Sox signed free agent LHP Derek Holland. November 7, 2016 LHP Derek Holland elected free agency. October 11, 2016 Texas Rangers activated LHP Derek Holland. October 6, 2016 Texas Rangers reassigned LHP Derek Holland to the minor leagues. August 23, 2016 Texas Rangers activated LHP Derek Holland from the 60-day disabled list. August 5, 2016 Texas Rangers sent LHP Derek Holland on a rehab assignment to Round Rock Express. July 15, 2016 Texas Rangers transferred LHP Derek Holland from the 15-day disabled list to the 60-day disabled list. Left shoulder inflammation. June 22, 2016 Texas Rangers placed LHP Derek Holland on the 15-day disabled list retroactive to June 21, 2016. Left shoulder inflammation. August 19, 2015 Texas Rangers activated LHP Derek Holland from the 60-day disabled list. August 14, 2015 Texas Rangers sent LHP Derek Holland on a rehab assignment to Round Rock Express. August 9, 2015 Texas Rangers sent LHP Derek Holland on a rehab assignment to Frisco RoughRiders. July 30, 2015 Texas Rangers sent LHP Derek Holland on a rehab assignment to Round Rock Express. August 30, 2014 Texas Rangers activated LHP Derek Holland from the 60-day disabled list. August 14, 2014 Texas Rangers sent LHP Derek Holland on a rehab assignment to Round Rock Express. August 9, 2014 Texas Rangers sent LHP Derek Holland on a rehab assignment to Frisco RoughRiders. August 3, 2014 Texas Rangers sent LHP Derek Holland on a rehab assignment to Round Rock Express. July 30, 2014 Texas Rangers sent LHP Derek Holland on a rehab assignment to Frisco RoughRiders. July 7, 2012 Texas Rangers activated LHP Derek Holland from the 15-day disabled list. June 27, 2012 sent LHP Derek Holland on a rehab assignment to Round Rock Express. June 7, 2012 Texas Rangers placed LHP Derek Holland on the 15-day disabled list retroactive to June 6, 2012. Left shoulder fatigue. August 28, 2010 Texas Rangers recalled LHP Derek Holland from Oklahoma City RedHawks. August 20, 2010 Texas Rangers optioned Derek Holland to Oklahoma City RedHawks. August 18, 2010 Texas Rangers recalled Derek Holland from Oklahoma City RedHawks. August 2, 2010 Texas Rangers optioned Derek Holland to Oklahoma City RedHawks. July 28, 2010 sent LHP Derek Holland on a rehab assignment to Oklahoma City RedHawks. July 23, 2010 sent LHP Derek Holland on a rehab assignment to AZL Rangers. June 1, 2010 Derek Holland roster status changed by Texas Rangers. May 12, 2010 Texas Rangers recalled LHP Derek Holland from Oklahoma City RedHawks. March 27, 2010 Texas Rangers optioned Derek Holland to Oklahoma City RedHawks. April 18, 2009 Texas Rangers purchased Derek Holland from Oklahoma City RedHawks.